Packerland Veterinary Center is uniquely qualified to care for and provide solutions to lameness problems. The Animal Bone and Joint Clinic at PVC is led by Dr. Allen Dunbar. 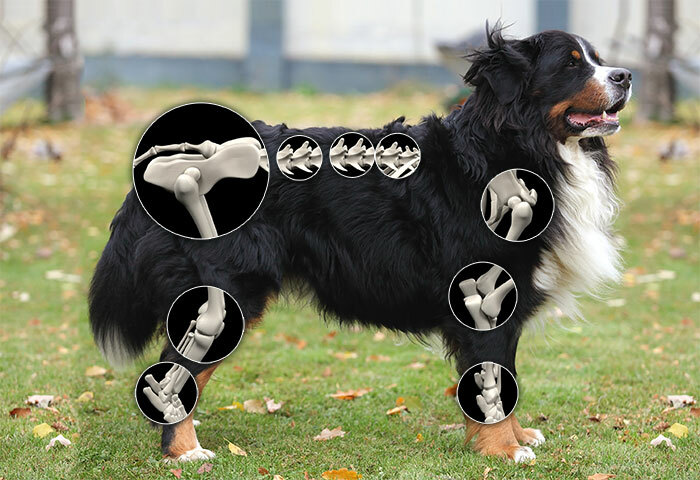 Dr. Dunbar has over 40 years of experience treating orthopedic conditions and has lectured at veterinary conferences on numerous orthopedic topics. The training, equipment, and services that Packerland can offer the orthopedic patient are often only available at specialized teaching hospitals. We have brought cutting edge technology to our practice to provide our patients with the best care that is available anywhere. Whether it's the new CBLO procedure for knee ligament injuries, arthroscopic procedures for minimally invasive joint surgery, or the latest techniques in fracture repair, Packerland is dedicated to providing your pet with the best care available. 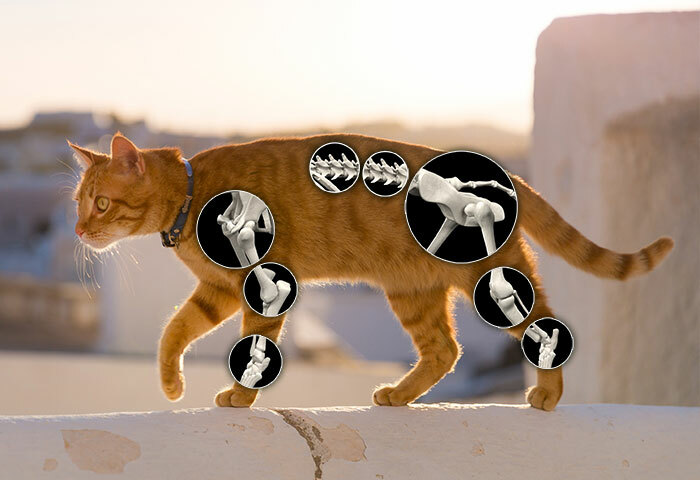 Where is your pet's problem area? Click below to explore the possibilities. Click here to learn more about some of the orthopedic services we provide.